Learning to ride a bicycle is a important skill for kids to learn. 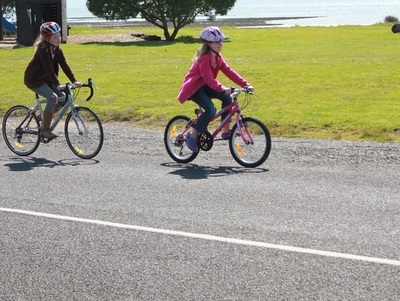 Beside giving them confidence and the sense of being independent , cycling can also enhance balance and motor skills. However, Perth's road can be very dangerous. So where is the best place for kids to learn to ride a bicycle? I agree with DREAM. The speed dome is a great place. They have a little circular road course outside where only bikes are allowed to travel. Bayswater Riverside Gardens is a great spot for kids to get confident on two wheels. There are heaps of paths, barbecues, picnic tables, playgrounds and the views over the river are gorgeous. When the kids are older and more proficient on their bikes, there are also riverside cycle paths heading in both directions along the river. Perfect for a family ride! Best chocolate shop in Perth?